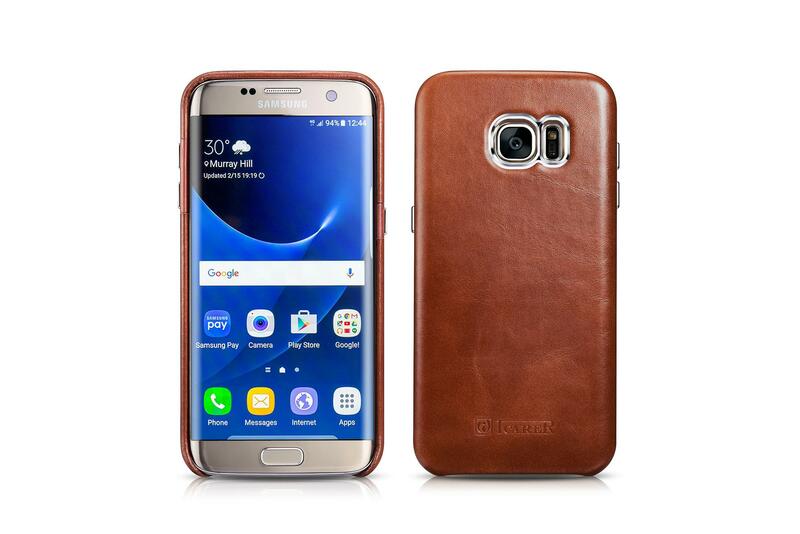 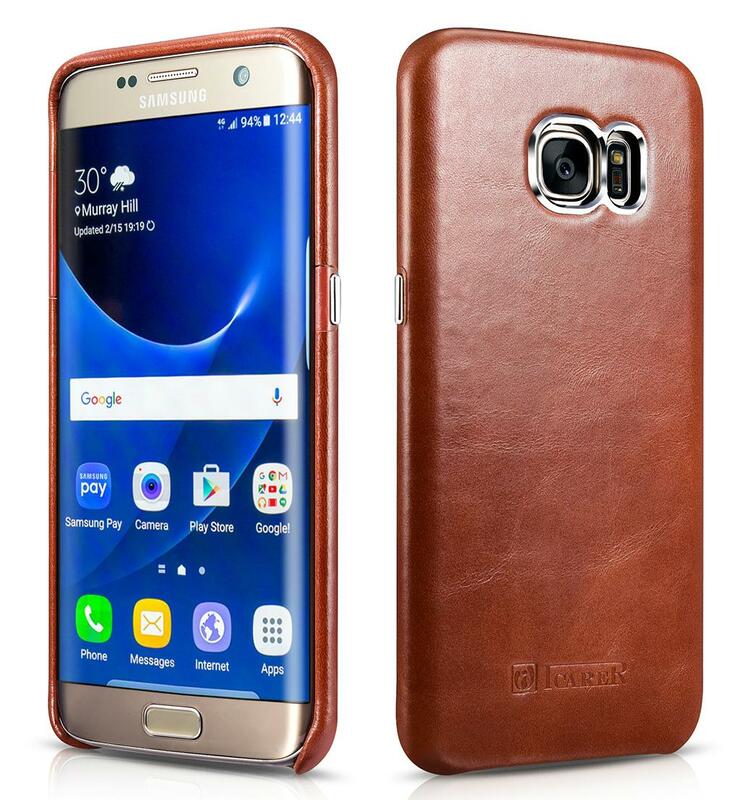 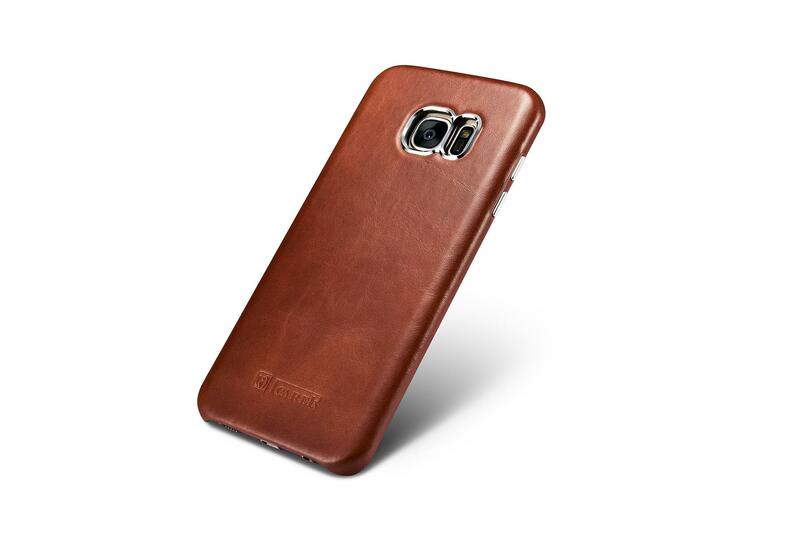 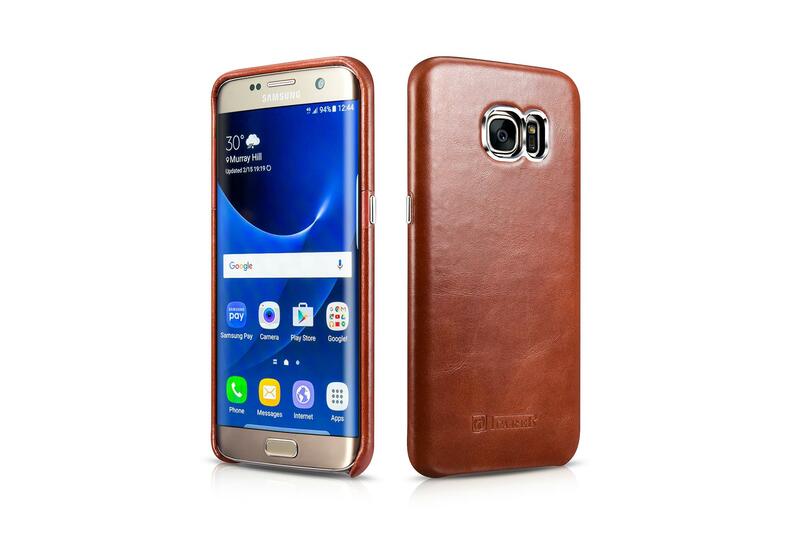 iCarer Samsung Galaxy S7 Edge Oil Wax Back Cover Series Genuine Leather Case were purely handmade of 100% genuine cowhide Leather. 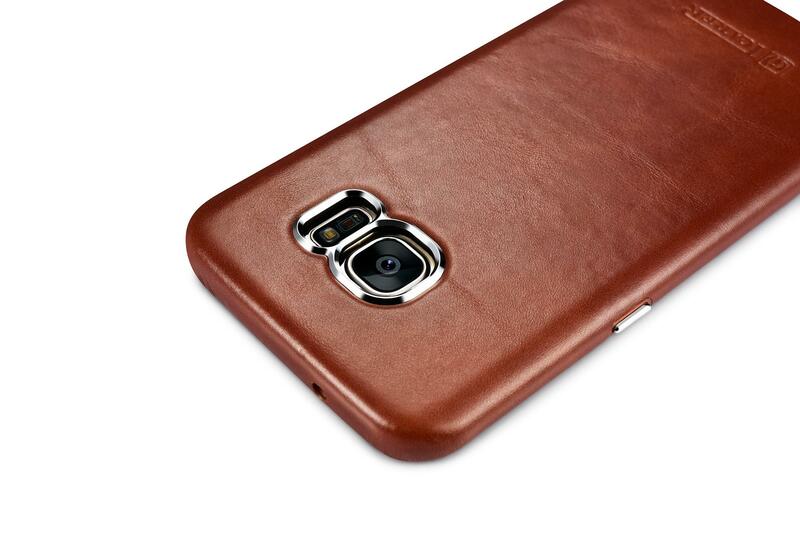 The hand feeling of the premium leather is top-grade. 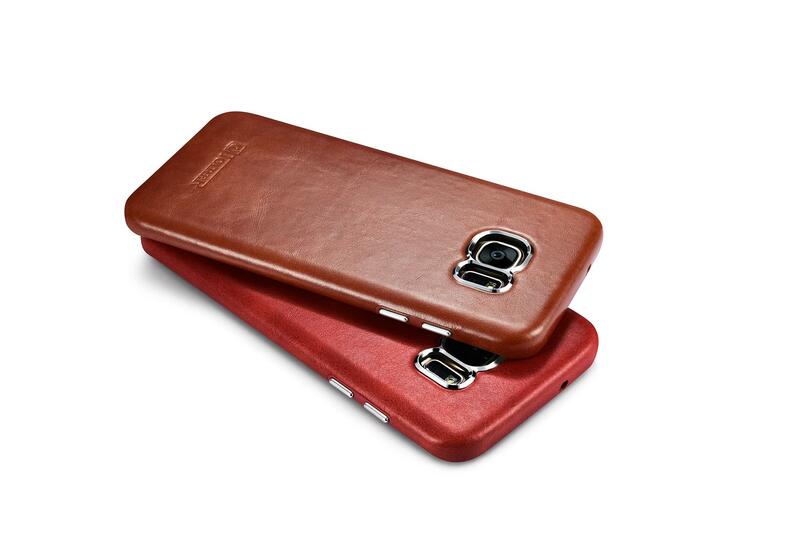 Back cover design offers your device an easily put in and take out. 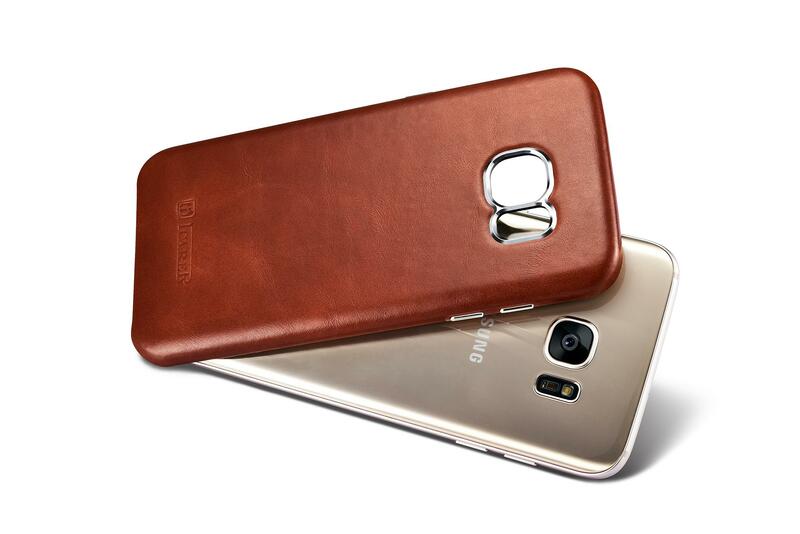 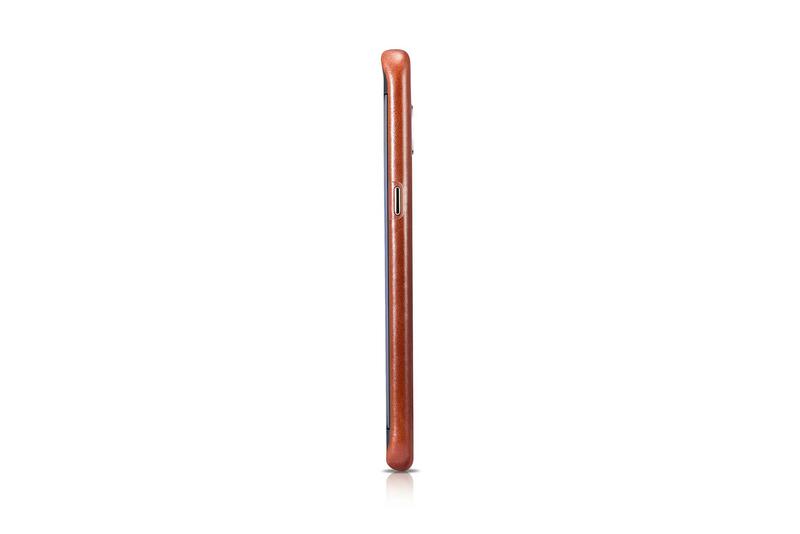 It looks luxurious and Fashion and support wireless charging. 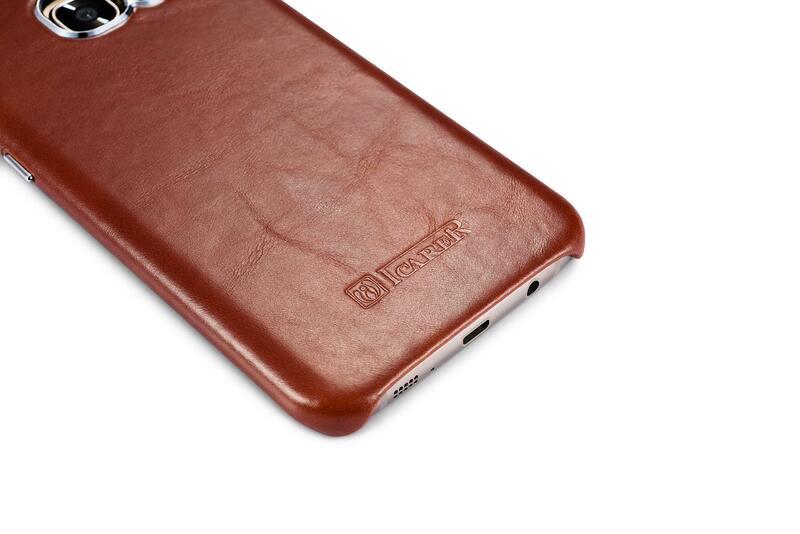 Charging port and earphone jack are all exposed out the case so you can reach them easily. 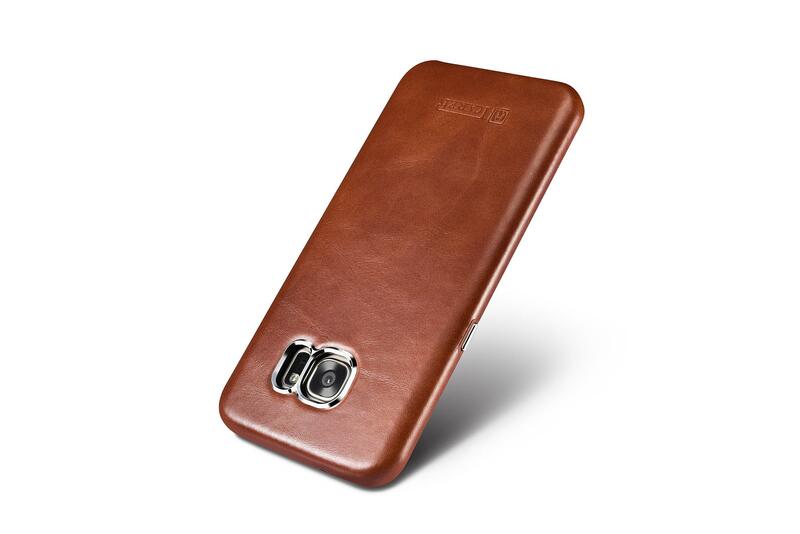 Take pictures, listen to music and charge your device without removing the case. 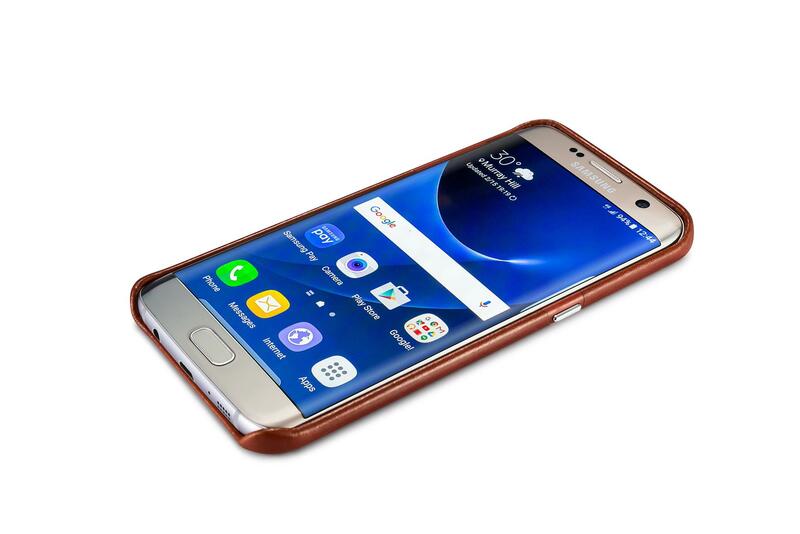 Metal rim on the back for rear camera won't interfere in taking photos when using flashes. 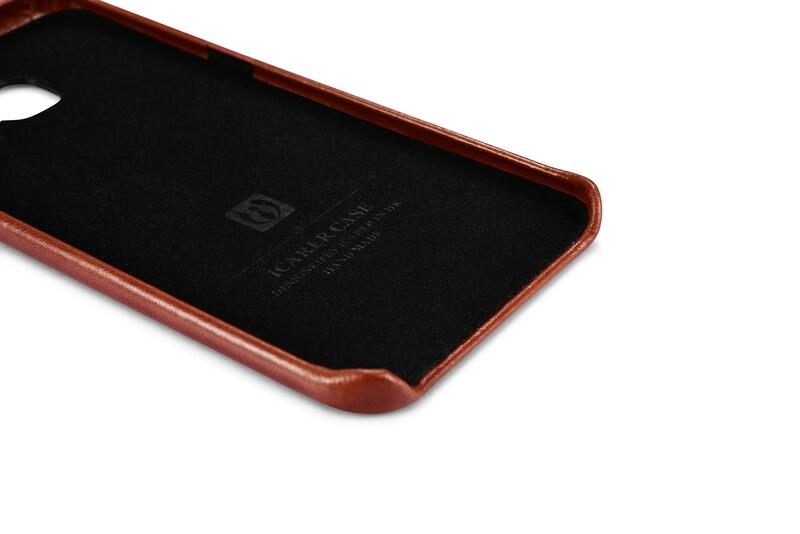 It gently contacts the surface of your device and fits like a glove. 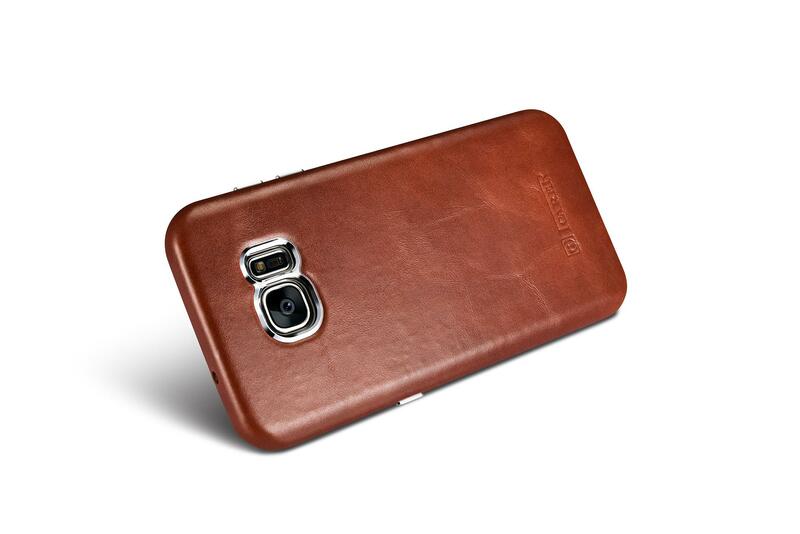 It offers perfect protection for your device while keeping it stylish and functional. 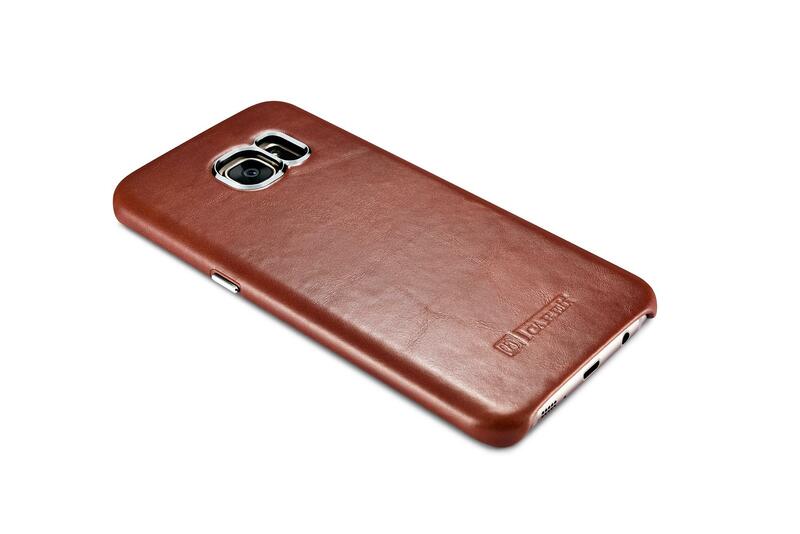 It covers all the corners to keep your device away from abrasion and scratch. 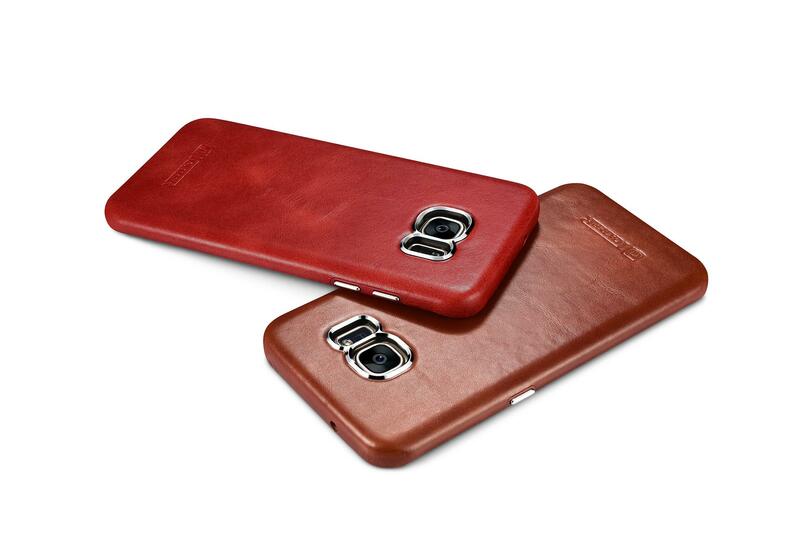 Elegant in texture and soft to touch indicate your uncommon taste no matter in daily life or business occasion. 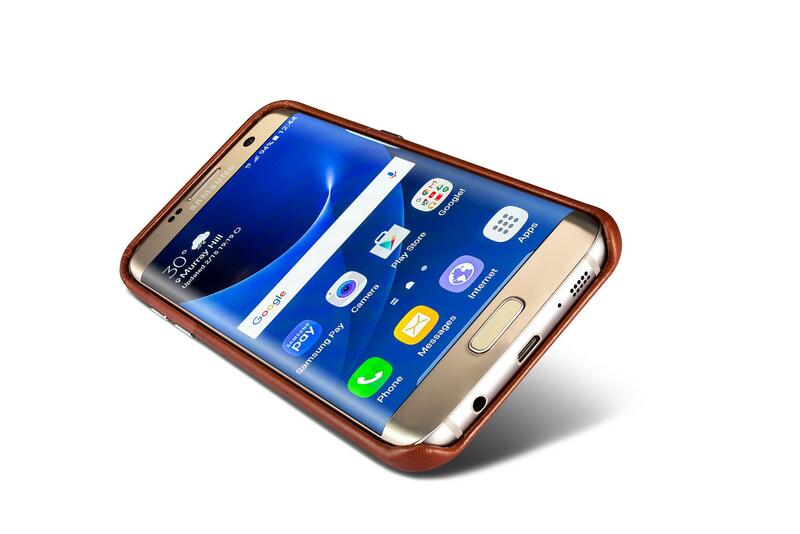 Ultra thin case fits in the palm of your hand adding no bulky feel to your phone with easily slides in and out of pockets. 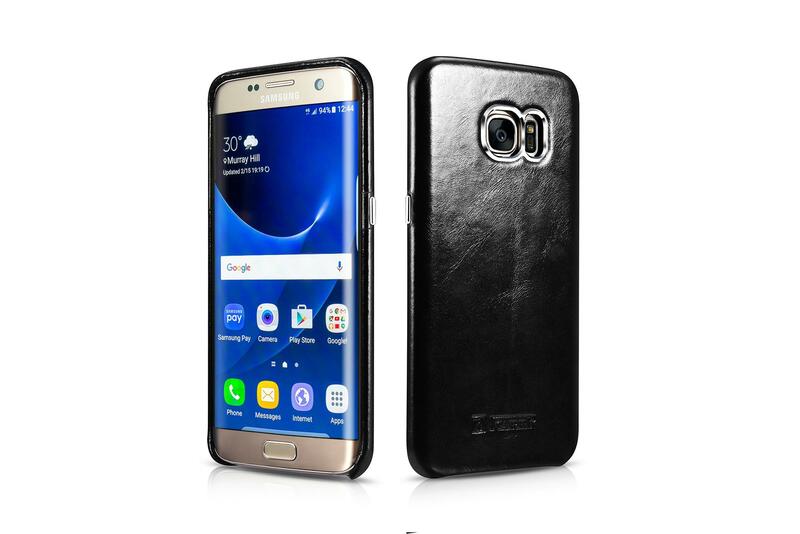 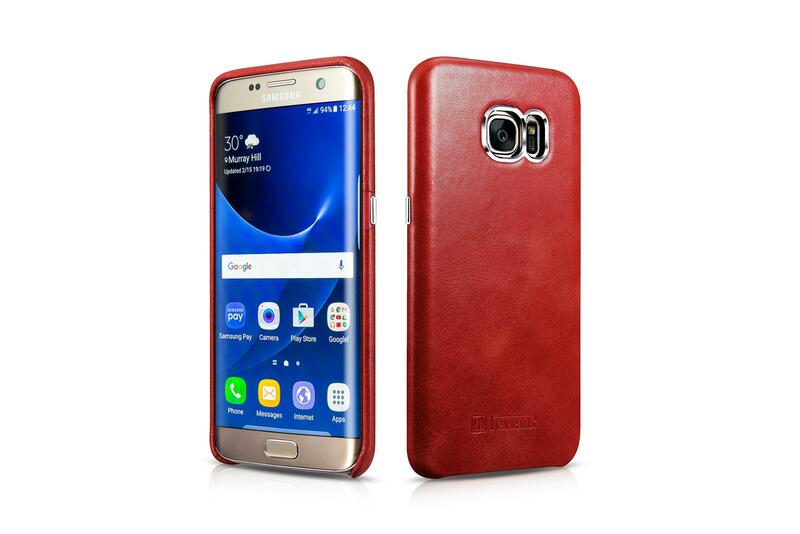 Perfectly designed for Samsung Galaxy S7 Edge.